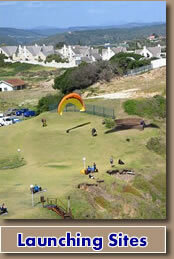 SA Paragliding Adventures has been training and flying Tandem flights for just over 7 years . 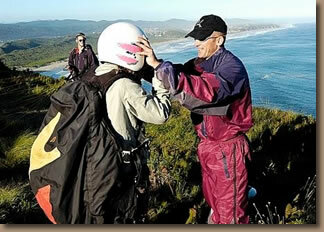 We pride ourselves on quality Instruction and Tandem flights with a excellent safety record . Deon Borrett started the company becaus e he was passionate about flying and wanted to make it part of his lifestyle . Deon Borrett has 14 years experience and one of the pilots who have the most hours and experience in local conditions .We operate from Wilderness , Sedgefield and Knysna and all our sites have majestic views overooking the sea , lakes , and rivers of the area .With the Outeniquas in the background you have a masterpiece of beauty from the air and the best views in the World. The sites or take off points are easy to access by sedan and all are grassy easy launching area with top landing as a option .Some of the famous sites include Map of Africa , Kleinkrantz , Wilderness Beach Hotel , Gerrickes Point , and Sedgeview . We also provide accommodation at the famous Flyers Lodge Backpackers situated in Kleinkrantz Wilderness which initially accommodated mainly paragliding pilots but now is open to all who love the adventure the Garden Route has to offer. 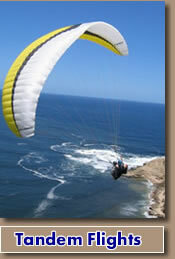 We also sell many different brands of paragliding equipment like Ozone, Axis and Gin and many more . Due to the increased workload and growth Deon Borrett invited Jorg Bueble (German / English speaking) and Eric Gentelet (French / Spanish / English speaking) to join the company. Jorg and Eric assist with foreign speaking tourists and students, tour groups from Germany, Austria, Switzerland, France and Reunion. Jorg has been a senior instructor for 7 years and Eric has been flying and instructing for 25 years. In the periods where we have large groups or we need a stand in Instructor we can rely on Johnnie Borrett who has 17 years experience . We also make use of highly experienced instructors for our Tandem operations. For this we have a DHV rated instructor from Germany, Jorg Bueble (fluent in English).This enables SA Paragliding Adventures to maintain its high standards of safety and quality flights even when dealing with groups . We also have the following activities available Canoeing , Qaud Bikes , Horse riding , Kloofing and Paintball . We live by the philosophy: One life, live it ! We provide quality paragliding training with the best equipment and give SAHPA rated instruction and Tandem flights through out the Garden Route . We have a excellent safety record . We also have a shop that sells 2nd hand and new paragliding equipment . We rent out equipement to qualified pilots only .There are many sites within the Garden Route and this region is known as a paragliding paradise . 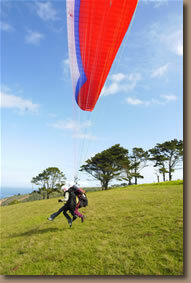 We have many foreign paragliding tours arriving to fly wthin the Garden route . 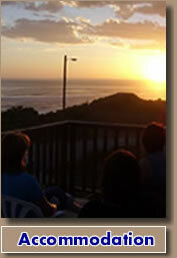 The main sites are situated between Wilderness and Knysna . 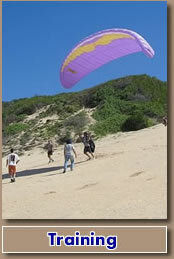 There are many other paragliding sites in Mosselbay the most famous is Hartenbos and Dana bay paragliding sites . In Plettenberg Bay there three sites namely Uplands paragliding site , Keurbooms paragliding site and Piesangs valley paragliding site . The sites used for training and Tandem flights are mainly in Wilderness and Sedgefield as they meet the safety and logistical requirements for these activities. This are has the most consistant flying in the whole of South africa and also has some of the most majestic sites one can find in the World .We have both Summer and Winter flying with the introduction of a wonderful site near Oudtshoorn named Goosevalley after Retief Goosen wine estate which lies serenely below the launch site .